It wasn’t gasoline—but moonshine—that fueled the growth of stock car racing in Appalachia and led to the rise of NASCAR. Even after Junior Johnson tore up dirt tracks across the South and notched five victories on the NASCAR circuit in 1955, stock car racing’s newest star continued to return home to the mountains of North Carolina to work in the family business—moonshining. Johnson’s ancestors had been making moonshine since the days of the Whiskey Rebellion, and so many cases of hooch were packed inside Johnson’s house while he was growing up that he needed to climb over stacks of them just to reach his bed each night. 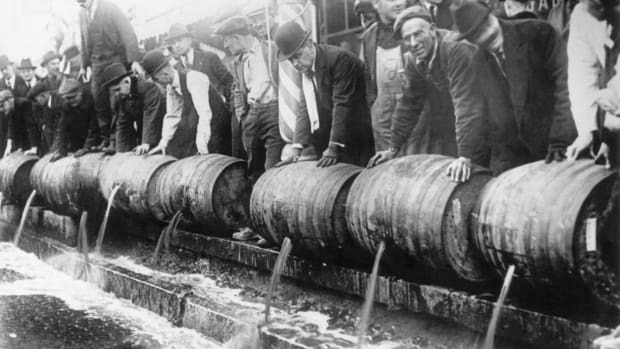 When the authorities raided the family farm and arrested Johnson’s father in 1935, they confiscated more than 7,000 gallons of whiskey in what was then the largest inland seizure of illegal alcohol. Indeed, beginning in the Prohibition era, the drivers transporting moonshine from rural areas or illegally importing booze from Canada had to make resourceful changes to their vehicles to elude the authorities on winding backroads with hairpin turns. “If it hadn’t been for whiskey, NASCAR wouldn’t have been formed. That’s a fact,” Johnson told the BBC. Stock car racing had its roots in Appalachia where producing and selling homemade whiskey offered liquid salvation for family farms seeking to escape crippling poverty—especially during the Great Depression, which hit the region particularly hard. “Those were hard times back in the hills and you did things you shouldn’t to get by,” said NASCAR Hall of Famer Curtis Turner, who began bootlegging at age nine, according to NASCAR.com. Appalachian moonshining continued to thrive even after Prohibition’s repeal thanks to the persistence of dry counties and a desire to evade hefty federal alcohol taxes. 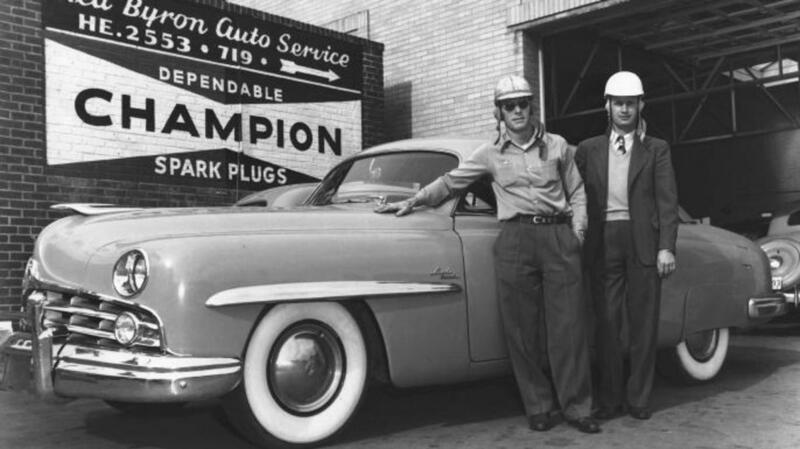 “Moonshiners didn’t want to share the tax revenue or any of this enterprise they had built from scratch with the federal government,” says Neal Thompson, author of Driving with the Devil: Southern Moonshine, Detroit Wheels, and the Birth of NASCAR. 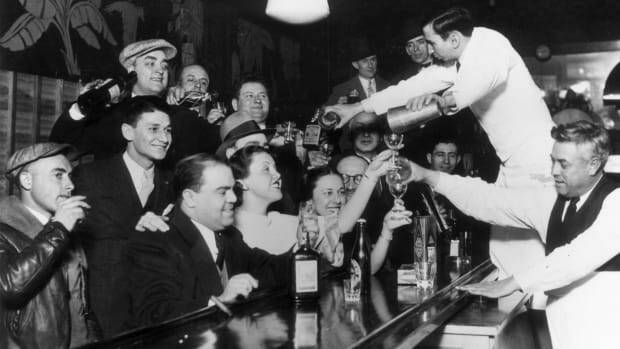 Ironically it was a devout teetotaler who did more for the bootlegging business in the years following Prohibition than anyone else. While automaker Henry Ford banned drinking by his workers, his Ford V-8 was literally the engine that drove moonshining after its 1932 debut. With relative ease, mechanics could also soup up the Ford V-8 to gain a few extra miles per hour of speed, which could make all the difference in car chases. To further elude revenue agents and the police, bootleggers tricked out their cars with features that seem to be straight out of a spy movie or a Looney Tunes cartoon—devices that with a press of the button could release smoke screens, oil slicks and even bucket loads of tacks to puncture the tires of their pursuers. During the 1930s, moonshiners began to race their whiskey cars at local fairgrounds and racetracks, where they discovered that people—sometimes tens of thousands of them—were willing to pay to watch them showcase their driving skills. That included Raymond Parks, “the first person to put together a formalized, legitimate racing team,” says Thompson. 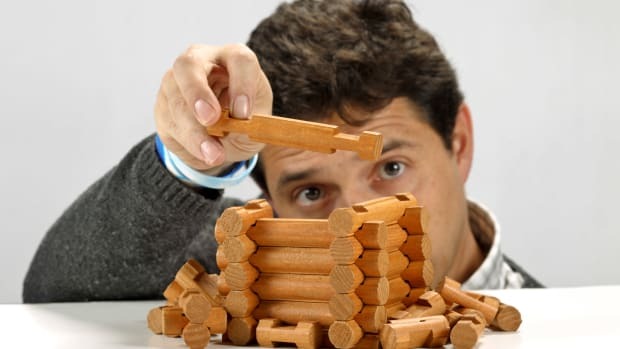 Parks ran away from his home in the mountains of northern Georgia at age 14 to become an apprentice to a moonshiner he had met in the county jail after being locked up for buying hooch for his father. 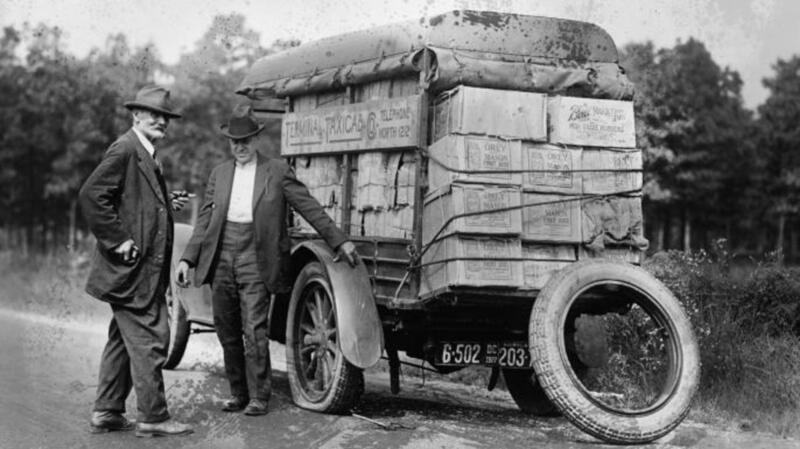 Working at a still and hauling corn whiskey around Atlanta, Parks made a fortune bootlegging. Soon, Parks began to invest his ill-gotten gains in legitimate enterprises such as service stations and the growing sport of stock car racing. Seay won the first big stock car race in 1938 at Atlanta’s Lakewood Speedway in front of 20,000 fans, and Hall would eventually win the national stock car championship in 1941. When stock car racing resumed after World War II in September 1945, a riot nearly ensued at Lakewood Speedway after police banned five racers, including Hall, who had been convicted of liquor-hauling violations. With 30,000 fans chanting for Hall, who had his driver’s license revoked after being arrested no less than 16 times, the authorities relented and let the bootleggers race. Hall took the checkered flag. 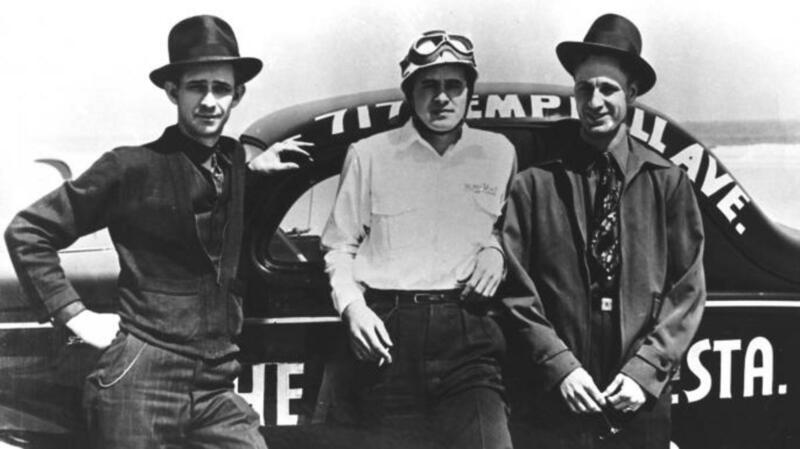 Atlanta, however, did not welcome the moonshiners back, and another top stock car driver named Bill France began to recruit the bootleggers to race in Virginia and the Carolinas. 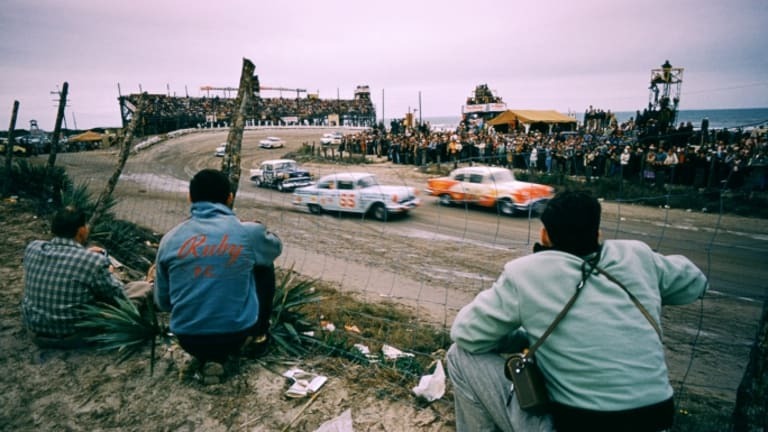 In December 1947 France assembled the leading stock car drivers, mechanics and owners in Daytona Beach, Florida, to standardize rules, a meeting that ended with the formation of the National Association for Stock Car Auto Racing (NASCAR). A team assembled by Parks with Red Byron behind the wheel won the first two NASCAR championships. “I don’t believe NASCAR would have developed as quickly or in the same way without the moonshine money from Raymond Parks and others that helped sustain it through those early years,” Thompson notes. Bill France, however, sought to distance NASCAR from its bootlegging origins as he took control of the organization, and that tension contributed to the decision by Parks to leave NASCAR and sell his race cars in 1951. 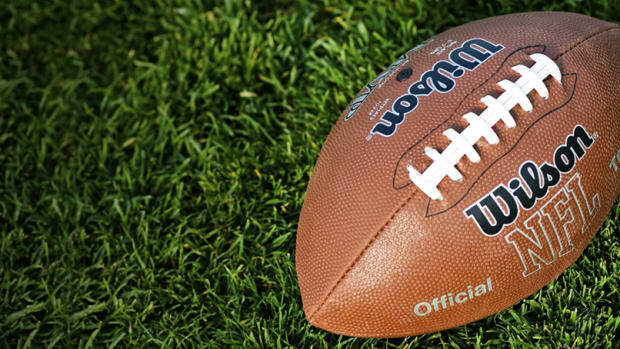 Under France’s leadership, NASCAR embraced corporate sponsorship and downplayed its bootlegging past, becoming more associated with Mountain Dew than mountain dew. The closest NASCAR comes to grain alcohol these days is in the ethanol filling up gas tanks, but the sport’s moonshine history is beginning to be recognized. 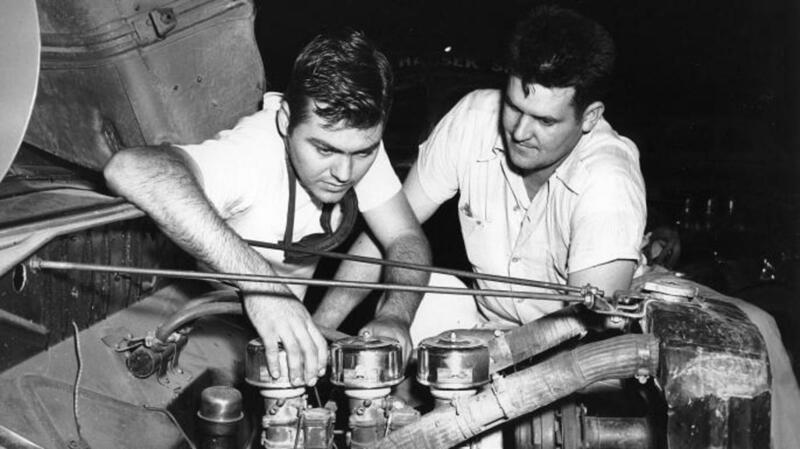 In 2017, Parks was inducted into the NASCAR Hall of Fame, which features a bootlegging exhibit and an authentic moonshine still built by Junior Johnson himself. Sixty years after his arrest, Johnson has again returned to the family business—this time legitimately—as his father’s whiskey recipe is now available in liquor stores as Junior Johnson’s Midnight Moon Carolina Moonshine.